From 1346 to the present day, the ‘Duitsche Huis’ on the Springweg in Utrecht has been the headquarters of the Order of Teutonic Knights (Ridderlijke Duitsche Orde), Bailiwick of Utrecht. In earlier times the Landcommander, the head of the Bailiwick (a territorial division of the Teutonic Order), lived here. Today, he comes here several times a year for meetings with the members of his chapter. The house owes its existence to an appeal in 1187 by the Holy Roman Emperor for knights to join him on a crusade to the Holy Land to wrest the city of Jerusalem from the Egyptian sultan Saladin. As a Holy City for both Christians and Muslims, Jerusalem had for years been a battleground and in 1187 the contest had been decided in favour of the Muslims. A third Crusade had to reverse this state of affairs. After an exhausting journey the army of crusaders reached the port of Acre and there mounted a siege of the city that was to last two whole years. In that time, merchants from Bremen and Lubeck built a field hospital under the sails of their supply ships. The first task for the hospital was to care for the German-speaking sick and wounded pilgrims and the knights of the Holy Roman Empire. The second task was the fight for the city of Jerusalem and the Holy Land. The first task needed priests, the second demanded knights. Both groups joined together in a spiritual order which took the name of the ‘Order of Teutonic Knights of the Hospital of St Mary in Jerusalem’, or ‘Teutonic Order’ for short. All over Europe the work of the Order was met with great enthusiasm and large donations were made to make the work possible. In 1231 Sweder van Dingede and his wife Beatrix gave to the Order a piece of land just outside the city walls of Utrecht to found there the Order’s own house from which the fraternity of knights and priests could conduct their work. About one hundered years later the Order moved to the Springweg inside the city walls and built a new “Duitsche Huis”. From here the Landcommander controlled the enormous possession the Order had in the meantime acquired in the Northern Netherlands, organized in the Bailiwick of Utrecht, to which 14 so-called ‘commanderies’ (smaller houses) also belong. From here knights were sent out to fight the Sarracens, the Turks or other non-Christians. The last two knights left in 1594: Willem Sloet and Willem Mulert journeyed from Utrecht to Zagreb to join the Imperial Army to fight against the Turks. The reformation put an end to the monastic life of the fraternity of priests and knights in Utrecht and in the commanderies in Holland, Zeeland, Gelderland, Overijssel, Drente and Friesland. From then on it was exclusively ‘knights’, members of noble protestant families, who were allowed to become members of the Order; and only under that condition was the Order able to keep its possessions in the Republic of the Seven Provinces. Napoleon constituted a new threat for the Order. 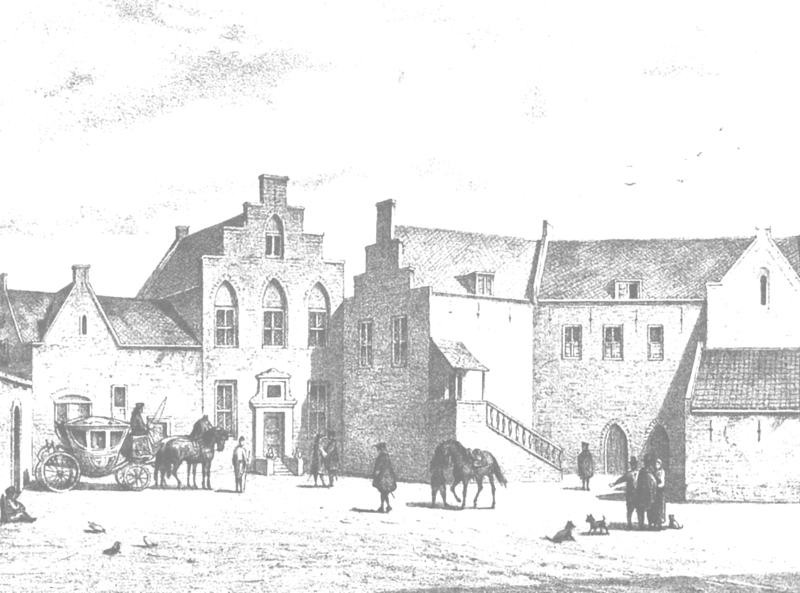 In 1807 the Duitsche Huis on the Springweg was confiscated and in the following years was enlarged as a military hospital. The Bailiwick was forced to move elsewhere but after many years in 1995 it returned to its own Duitsche Huis! From this house it still continues its old tradition of giving aid to the sick and the infirm.